Manufacturer & exporter of Container Bags with large loads from 500-3000kg! ✔ Products: Jumbo bag, Sling bag, Container bag, PP-PE geotextile, PP fabric. ✔ Apply in: Agriculture, industry, chemicals, cement, fertilizer, etc. ✔Modern production line, high quality product, competitive price. Manufacturer of JUMBO BAGS - BIGBAG using Japanese & Korean technology. 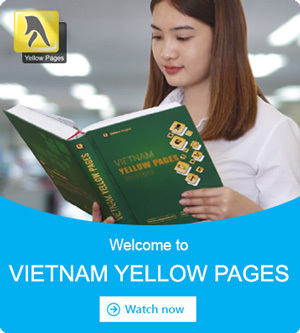 ♦ Used for the following industries: Agricultural products, food, minerals, fertilizers, chemicals, fisheries, etc. 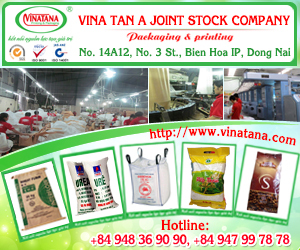 ➤ Serving animal feed industry, chemicals, agricultural products, cement,..
Vina Tan A Joint Stock Company specializes in producing all types of Jumbo Bags used for industries, such as: agriculture, forestry, mineral industry, construction industry, fertilizer industry, fishery, ect, with the variety of products and materials to meet the need of customers. 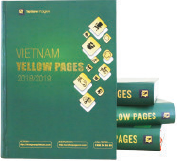 Hai Thanh Vina - One of the big scale jumbo bag manufacturers based in Vietnam. 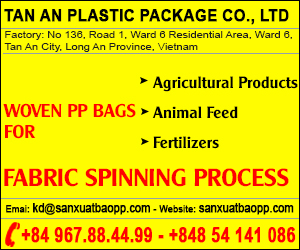 - Producing packing types, PP bags, jumbo, with capacity of 70,000-90,000 products / month. - Printing on Jumbo Bags and PP Bags as required. + Various applications: Chemicals, fertilizer, animal feed, minerals, sand, cement, lime tubers, sawdust, straw, agricultural products, etc. - Production lines are mainly from Starlinger, Austria, Korea and India. We are confident in delivering the best quality to customers. We specialize in producing all kinds of woven bags FIBC (Jumbo, PP woven bags, big bags, industrial sacks), productive: 12 million Jumbo bags / year. ● Rich Material: textiles, belts, keychains, bags lining PE, etc .. Specialize in manufacturing all types of Industrial Packagings such as Jumbo Bag, Container Bag, Big Bag, Woven PP Bag, PE Bag,..
Are you finding a supplier Jumbo Bags for Wood Pellets, Fertilizer, Cement, Stone Powder? 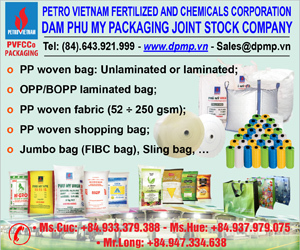 Container Bags, Jumbo Bags, Big Bags is business advantages of Tran Minh Dang which used for packing agricultural products such as: rice, coffee, wheat floor, pepper,..
✚ Design: Bottom closed, bottom discharged, hooded lids, lids mounted inlet,..
✚ Ensures high durability, waterproof capability and anti-UV.